Extracts from a diary of a spiritual retreat in Japan. Well, here I am ! 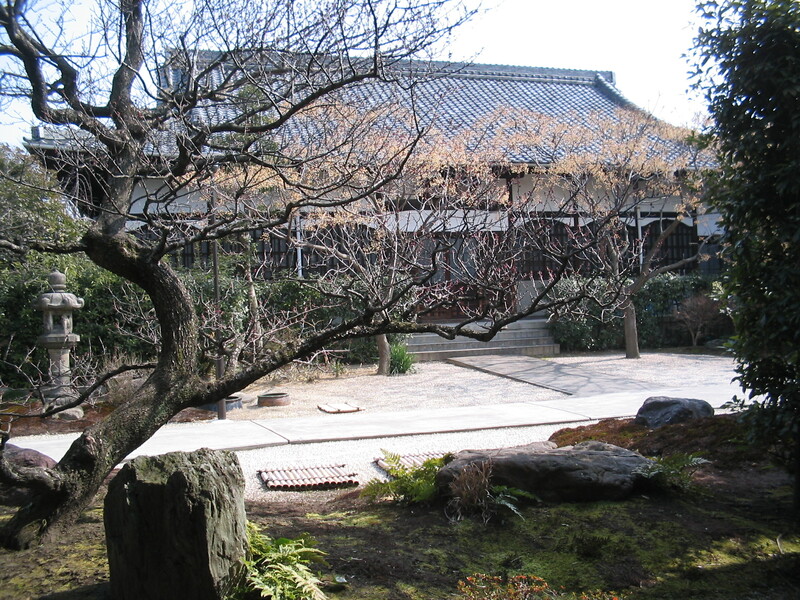 Aichi Senmon Nisodo, a training monastery for nuns led by Aoyama Roshi. A magnificent and very simple temple in the heart of Nagoya : a few hundred square metres which would be my home for the next three months. No telephone or computer, no heating….back to basics. A new year dawns in the land of the rising sun. Yesterday evening I rang the great bell, without great conviction. 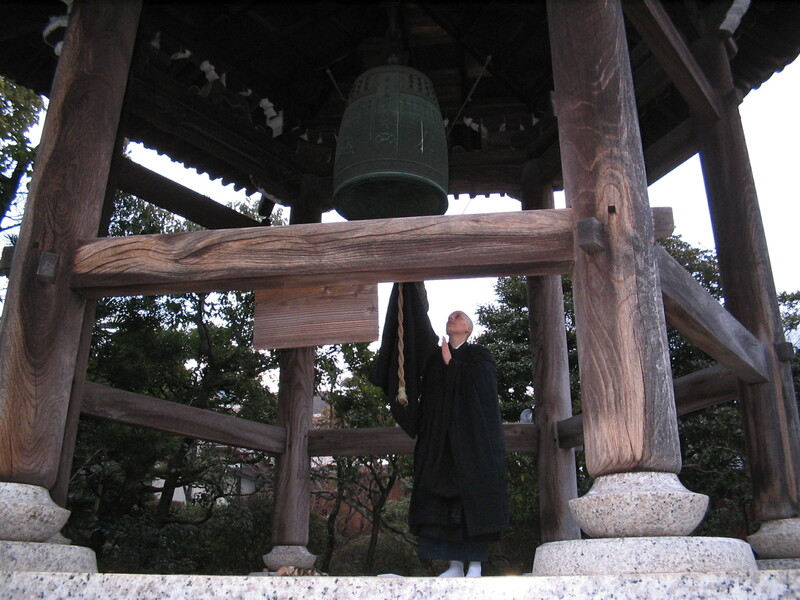 It was 1.30 in the morning and the inhabitants from the local neighbourhood had gathered to chant a Hannya Shingyo ( Heart Sutra) and, above all , to go up into the little chapel where the great bell hangs for a ‘Bong!’ full of hope. Aoyama Roshi welcomed some of them, with a beaming and naughty smile and heard the news of each one. We, the ‘Niso’ were assembled round about, wearing tabis ( white cotton socks) on the cold marble, with an outside temperature around freezing. A very beautiful and very cold image of the transmission! With a superficial smile, I thought with a tight chest , of the wake up bell at La Gendronniere, the great log fire and joyful reunions. I have been taken on in the ‘Chiden’ team, which is concerned with the ceremonies and the Hatto ( the chapel for ceremonies.) It’s just wonderful to be able to dedicate the greater part of one’s days to making offerings: water, rice, incense… All the rituals have a precision like clockwork and we spend a lot of time rehearsing, so we also learn it with our body. Every day brings its share of new responsibilities and the hours fly past. Speed is, it seems, one of the key notes of practice in this temple and was the most difficult part. Everything happens with urgency, ..wake up, getting dressed, getting ready….No time to reflect, it was all about allowing oneself to slide into the arms of Buddha and to dance and let everything go. This was in itself a problem: I am more into rock than Buto Japanese dance and Buddha got his toes trodden on many times! It’s 5 pm and I had been up at 4.45 am and there are still thousands of gestures to absorb for the ceremony tomorrow. A mental survival kit has created itself, with this saving motto , ‘Is it real?’ When I am ranting, when “ I’d prefer it if..” when “If only..” when “ In my opinion”… bam! The brakes are on and Dharma takes back control of the car.Brief and wonderful windows into the body. And the Japanese birds punctuated the hours with joyful commentaries. 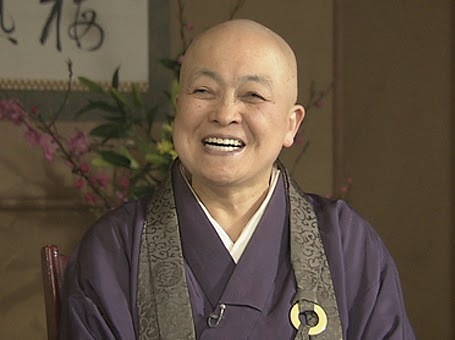 We are in sesshin ( an intensive retreat) for the last 2 days. I am so tired. Getting up at 3.45am, zazen, oryoki, samu etc…. No spare time. A nun brings me a croissant : I ‘m dreaming. I gulped it down with joy.. in front of my 5 room mates. This is one of the greatest difficulties here : a total absence of personal space. We are with others 24/7 for all activities. At this moment my neighbour on the right is having a discussion over my head with my neighbour on the left, while I am trying to remember how to speak French. I’m irritated. The attachment to space or territory seems to come from ancient depths and I find its profane power hard to believe. 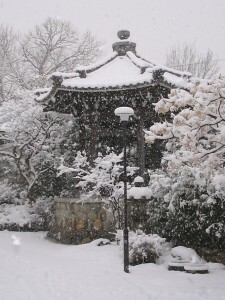 Every day thus offers a new learning and little by little allows the richness of the practice at Nisodo to flower: difficult for sure and very demanding, but brimful of treasure. Once more the words stagger in the face of the enormity of the gift.